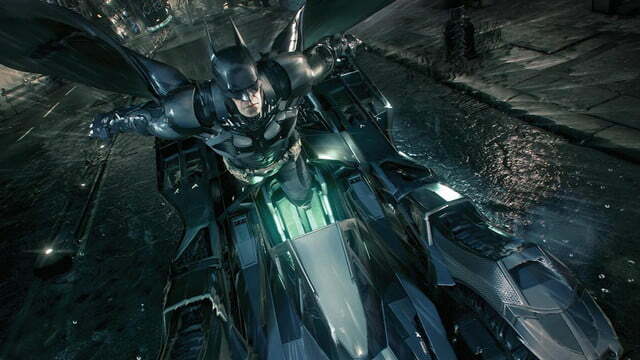 Developer Rocksteady reinvigorates its Arkham series formula with fresh gameplay features and an expansive open world in Batman: Arkham Knight. 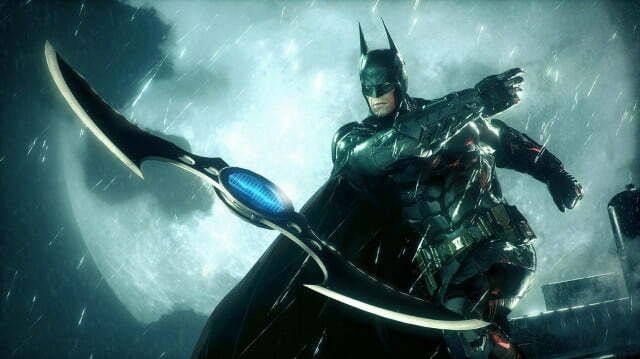 2013’s Batman: Arkham Origins showed a side of Batman that players hadn’t seen in previous Arkham games, and it wasn’t pretty. Compared to the landmark Arkham Asylum and the open-world insanity of Arkham City, Arkham Origins felt safe, contrived, and very much like a stopgap release. Over the interim year-and-a-half leading up to the launch of Arkham Knight, Origins‘ failings made me doubt whether the Arkham series formula was worth revisiting. 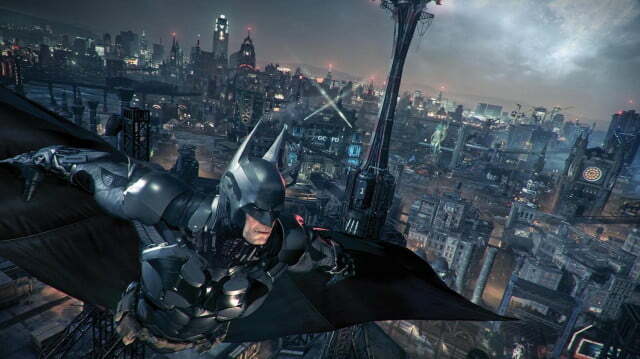 Within its first hour, Arkham Knight squashed my concerns, demonstrating that the creative team at developer Rocksteady (who, it should be pointed out, did not create Arkham Origins) still knows how to innovate within the action genre in meaningful, unexpected ways while delivering a dynamite storyline. 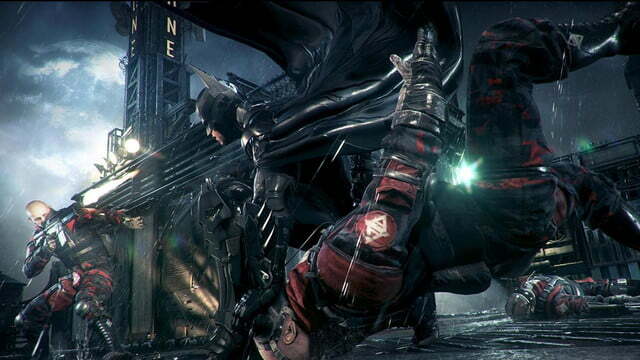 Arkham Knight centers around returning Arkham Asylum villain the Scarecrow, who threatens to flood Gotham City with a nerve gas that triggers uncontrollable, animalistic violence in its victims. 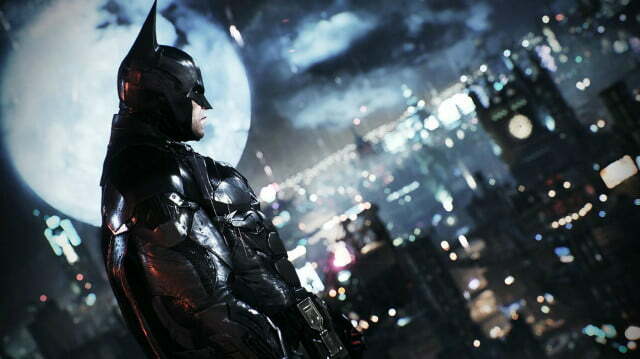 With Gotham’s citizens evacuated, Batman scours the city in search of the criminal element that remains. Arkham Knight‘s storyline is one of its greatest assets, and unfortunately, it’s difficult to discuss the narrative’s strengths without spoiling its central twist. It suffices to say that Batman spends the majority of the game battling his inner demons; the way in which Batman’s inner conflict manifests itself throughout the core campaign is remarkable, and it leaves a lasting impression. Arkham Knight‘s storyline frequently veers off into dark, unexpected territory, and its mechanics follow suit. 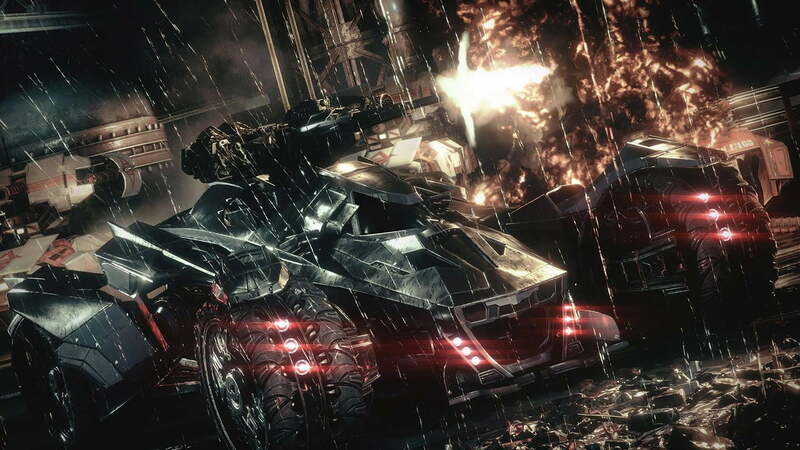 While exploring Arkham Knight‘s expanded Gotham, the newly-pilotable Batmobile takes center stage, serving double-duty as both high-speed transport and an armored tank capable of leveling entire city blocks. 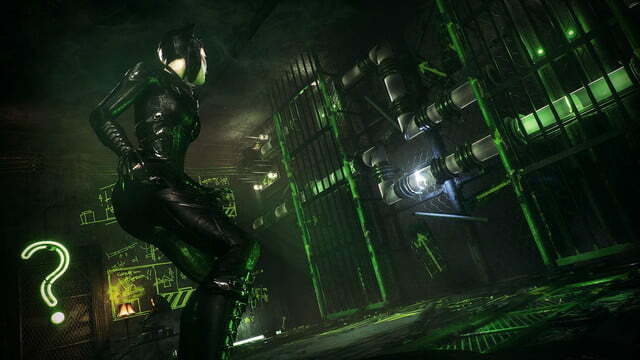 Frequent Batmobile-based combat sequences feature throughout the game’s story missions, and the new mechanics introduced here are a surprisingly solid fit for the Arkham series. While squaring off against the Scarecrow’s armored tanks, you’ll find yourself dodging, counterattacking, and unleashing stored-up special moves unique to the Batmobile – a great analog to the complexity and flow of the series’ traditional melee mechanics. 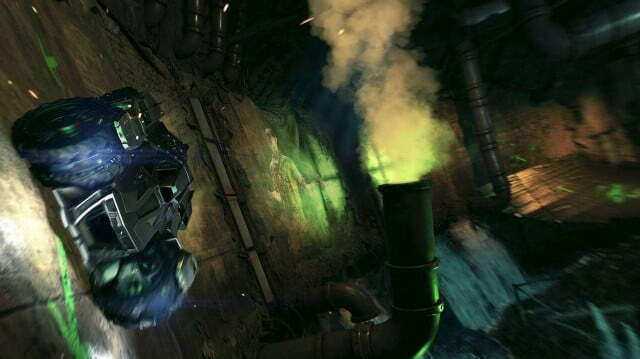 While combat is a large focus for the Batmobile sequences, the game’s most memorable and successful moments involve merging the Batmobile with creative traversal challenges. At points, you’ll find yourself wondering how you can get the Batmobile up to a nearby rooftop or around an impassable blockade, and the solutions you’ll devise consist of equal parts mental gymnastics, driving prowess, and the simple thrill of launching a badass tank across gaping chasms. 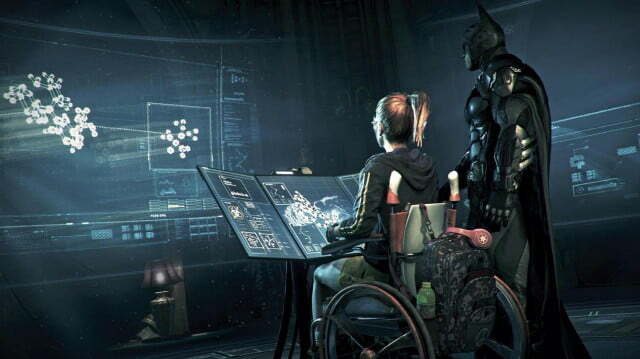 Even without the Batmobile’s involvement, Arkham Knight‘s puzzles are greatly improved over previous series entries. Rarely ever rote or mundane, Arkham Knight‘s puzzles explore the game’s mechanics to their fullest, and will often leave you scratching your head until you figure out necessary combinations of environmental manipulation and Bat-gadgetry. 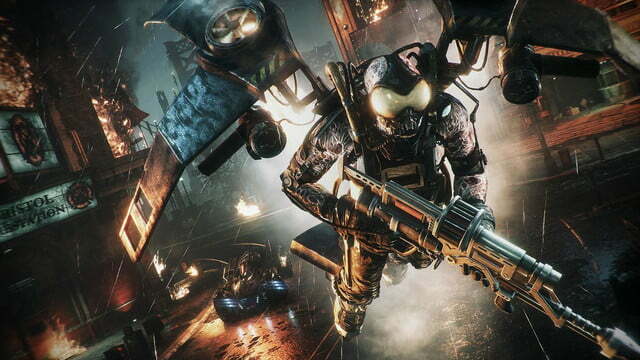 Rocksteady’s “Freeflow” combat system returns in Arkham Knight, and it’s as fluid and intuitive as ever. With carefully timed strikes, Batman zooms from foe to foe in the game’s many crowded melee combat encounters, and pulling off unbroken strings of attacks remains quite satisfying. 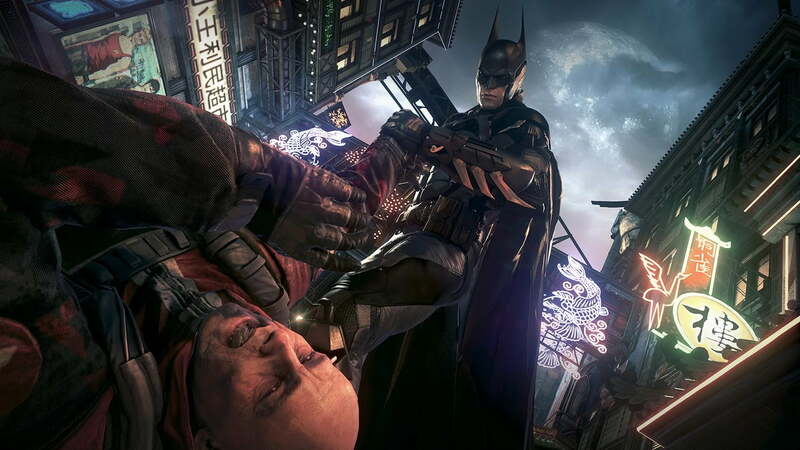 Arkham Knight introduces a few new wrinkles to the formula; Batman can now pick up and use enemy weapons dropped on the battlefield, and environmental takedowns can knock out opponents in a single strike. 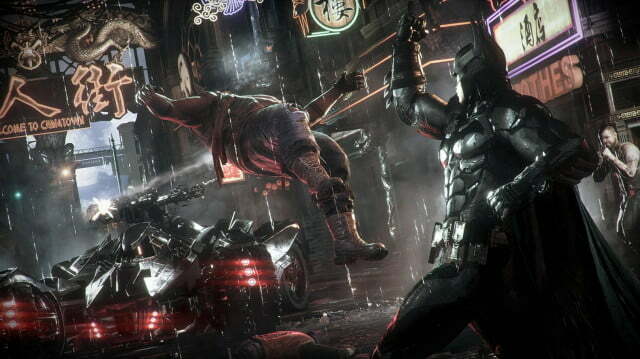 Occasional team-up battles also introduce their own gameplay quirks, as Batman can take on foes alongside Robin, Catwoman, and other pals to crack criminal skulls as efficiently as possible. Combat has so many options that you may become overwhelmed as fights increase in complexity during later story missions. At this point in the series, combat has so many options that you may become overwhelmed as fights increase in complexity during later story missions. You’ll need to memorize the function of almost every button on your console’s controller in order to counter specific enemy attacks; while the game provides clear on-screen counterattack indicators, later battles require you to evade charging thugs, disable electrified foes, dodge blade swipes, stun shielded enemies, and disarm machine gunners – all in rapid sequence, and all requiring a different button or combination of buttons to execute. Arkham Asylum‘s combat feels downright primitive in comparison, but ultimately remains more focused and less chaotic than Arkham Knight gets by the end of its campaign. The Batmobile can’t quite keep up with Batman’s agility, either. 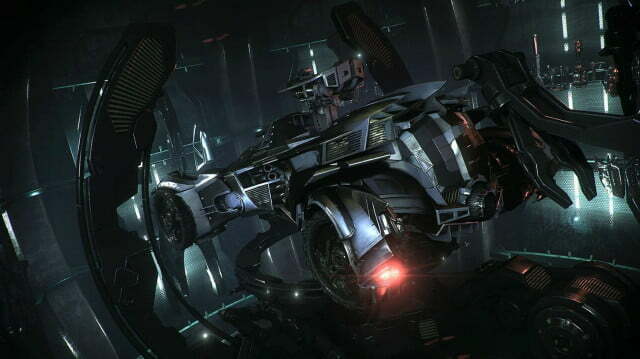 Vehicle combat sequences require a similar player skillset as melee battles, but the tank-like Batmobile isn’t nearly as graceful as encounters often demand. 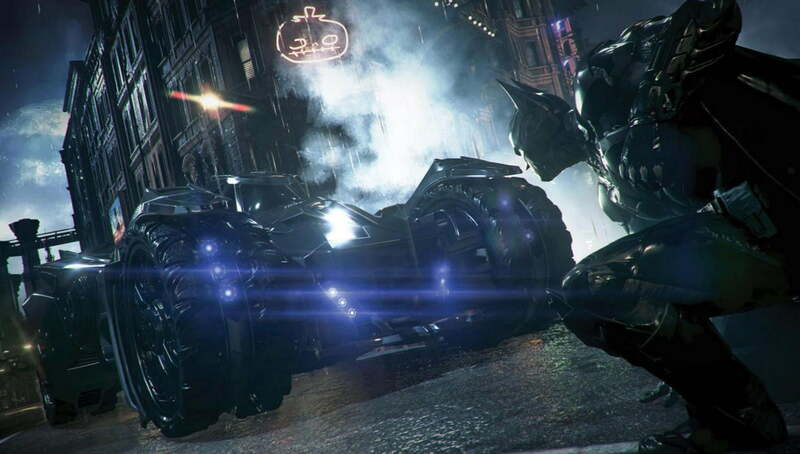 Play through Arkham Knight‘s story missions on the default difficulty setting and you can expect to repeat later vehicle-based encounters many times over as surrounding tanks and drones overwhelm the Batmobile’s limited capabilities. As you approach the endgame, issues with the game’s graphical presentation begin to arise. 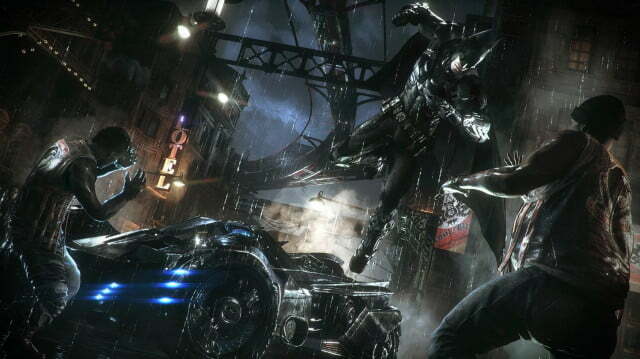 Arkham Knight seemingly makes a point of pushing out as much graphical detail as possible during open-world segments; as a result, key gameplay elements during enemy pursuits and close-quarters combat often become lost in a miasma of rain, sparks, neon lighting, and the choking clouds of debris the Batmobile leaves in its wake. This becomes especially frustrating during vehicle-based stealth sequences, which are easily the weakest of Arkham Knight‘s story missions. 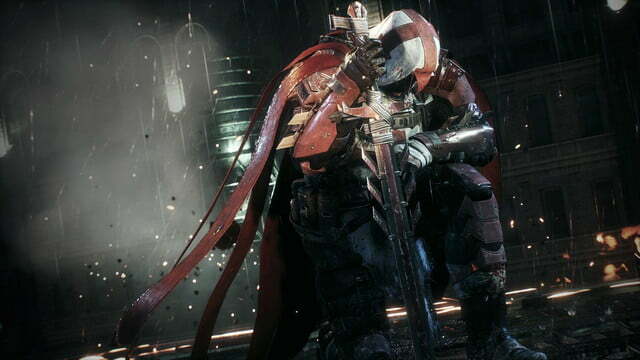 Really, Arkham Knight‘s biggest flaws lie with its excesses. It’s a very pretty game, and it’s admirable that Rocksteady could pull off vehicle combat on such a grand scale while expanding its core Arkham mechanics. Arkham Knight becomes frustrating, however, when you end up flipping the Batmobile because the screen is so overloaded with graphical detail that you can’t see where you’re going, or when you start dropping melee combos simply because you haven’t yet memorized a ninth or tenth button combination for a necessary counterattack. These moments lose sight of the series’ core strengths, overloading a mechanical foundation that’s already burdened with multiple layers from previous Arkham games. Despite the frustrations I experienced in the late-game story missions, Arkham Knight remains fun from start to finish, and the imposing amount of bonus content will keep you busy for dozens of hours afterward. The Riddler returns for another city-wide scavenger hunt, and he’s constructed several trap-laden racetracks for the Batmobile to take on. Supervillain guest stars are also scattered throughout the world of Arkham Knight, and hauling them back to Gotham City’s police department plays out over a series a self-contained side-missions that progress alongside the game’s core storyline. Thanks to its many gameplay additions and expansive open world, Arkham Knight makes the series feel as fresh as it did in 2009 with the original release of Arkham Asylum. Despite its quirks, the Batmobile adds a refreshing degree of mechanical complexity, and other returning gameplay gimmicks get a similar upgrade, making Arkham Knight one of the smartest, most feature-packed action games I’ve played in the last year. For all my minor gripes, I enjoyed Arkham Knight‘s story, and I can’t wait to dive back into Gotham City to clean up the streets. I’ll get you yet, Riddler. This game was reviewed on Playstation 4 with a code provided by the publisher.